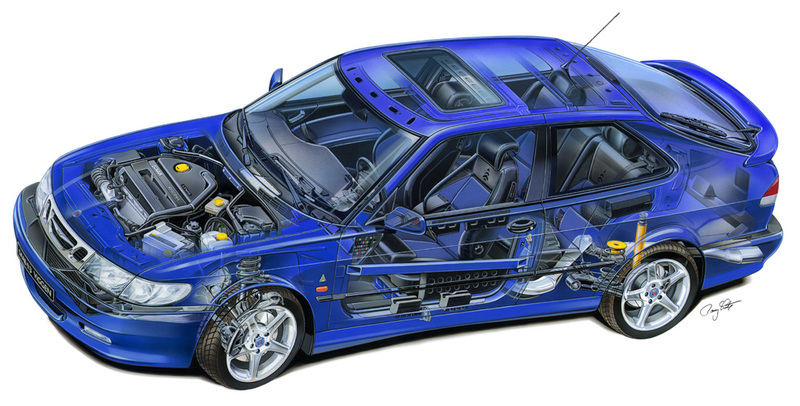 The Viggen is a limited production high performance model based on the Saab 9-3. It was named after a jetfighter also build by Saab. I have to add that the Viggen was the first 9-3 featuring the Trionic 7 engine management system, which had been exclusive to the 9-5 range until then. The Viggen was available in Europe only for the model year 1999 and 2000. In the USA it was available until the end of the production cycle of the Saab 9-3 Mk I. 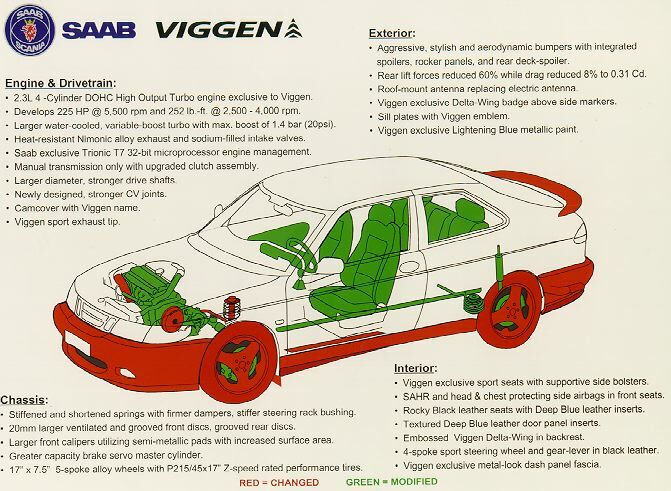 After the Viggen was no longer for sale in Europe, Saab equipped the MY 2001 9-3 Aero with some Viggen kit: Body Kit (except the big Viggen rear wing), Seats, turbocharger and intercooler. If you want to know more about the history of this model, there is a very interesting "Viggen Story" on the Abbott Racing homepage.